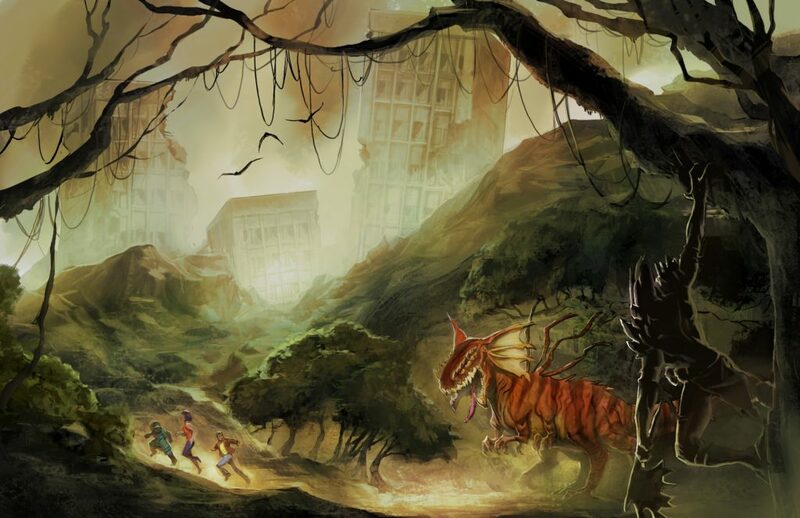 This week we take a look at the Adventure Generator, with which Gamemasters can roll a few dice and come up with the skeleton of an adventure. Even if the results don’t make sense, embracing the weird is completely typical for Torg Eternity. 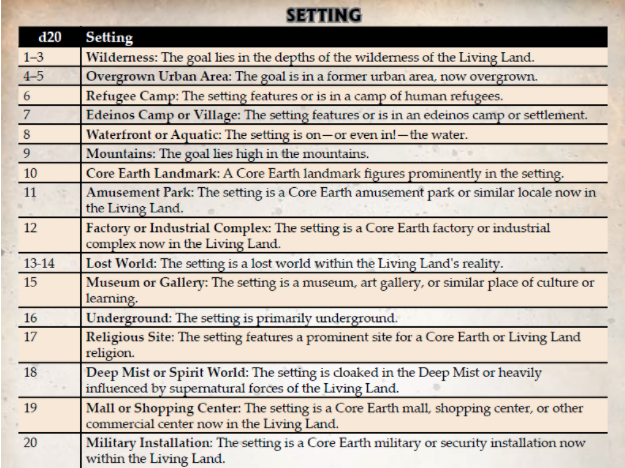 The core of the Adventure Generator is a series of tables. Goals represent the mission that the Storm Knights are on. Opposition is fairly self-explanatory. Setting features the main location the adventure takes place in. 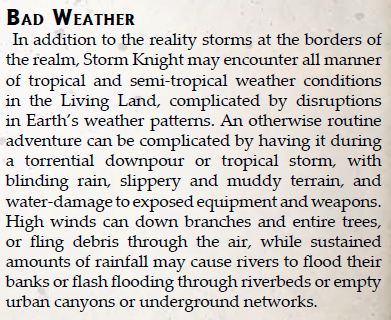 The best adventures have some sort of surprise in store, which can be rolled or selected from the Complications table. Will these advenrure generators be in ALL the cosm books? I hate typing on a cell, hehe. The current plan is to have random tables to help flesh out what a GM might need the most “on the spot” in different realms. For the Living Land that’s exploration and wonders.